If you have a bad credit rating, getting a home loan could prove difficult. There are however some steps you can take to give yourself the best chance of being approved. The majority of lenders use a computer-based system called credit scoring to assess your home loan application, says Kim Wight, a Personal Mortgage Adviser with Smartline. "This means that the data collected in your application is given a rating or score and if the computer scores you as a bad risk, the application is declined before a real person has a chance to look at the application or hear your story as to why you have had credit problems in the past. In other words, 'computer says no'," she explains. "By applying with a lender who does not use credit scoring, your application – and the reason for your past credit problems – will be assessed by a real person, who can evaluate your personal situation past and present and use this information to make their decision on your application; it can be a case of, 'human says yes'." When you apply for a home loan, there are two approvals that have to be sought out if you borrow more than 80% of the value of the property. One is from the lender, and the other is from the mortgage insurer, who protects the lender in case you default on the loan. "By having funds to cover 20% deposit, and other costs such as stamp duty and legal fees, you avoid having your application be assessed by the mortgage insurer, and you have a greater chance of the loan being approved," Wight says. 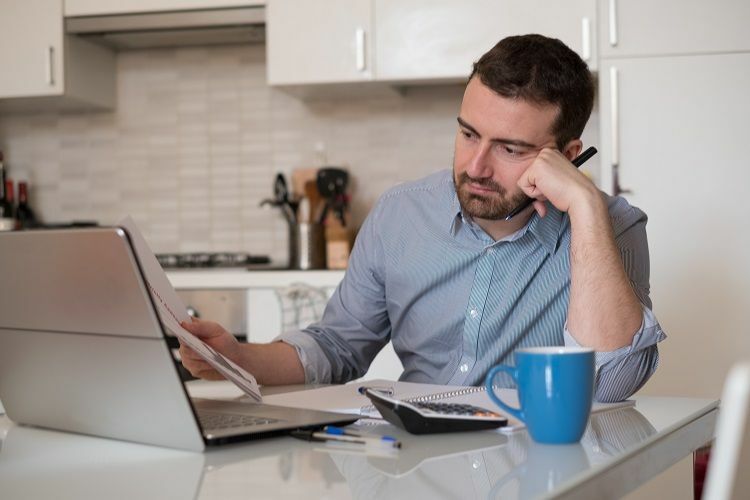 "If you have had problems in the past, you need to show that you are now back on track by ensuring all current financial commitments are being paid on time," Wight says. "This includes not only your loans and credit cards but your rent and utilities as well. Evidence of regular savings will also strengthen your application." Depending upon the severity your bad credit history, the mainstream lenders may not be able to assist you – but there are specialist lenders in the market place who price their products based on the element of risk. "The interest rate is usually higher," Wight admits,"but people usually only stay in these products long enough for their credit situation to improve, and then they refinance to a lower rate." "There are a number of specialist credit repair agencies that may be able to assist you with cleaning up your credit report. It is advisable to speak with them or a solicitor to investigate if it is possible for adverse entries on your report to be removed," Wight says. It is important that you don't apply with lots of lenders as you shop around for a home loan, as each time you make an application, it is recorded against on your credit report. "If lender after lender is declining your application, this will further impact your credit report," Wight says. "At the outset, a mortgage broker can assess which lender is most likely to approve your loan application and what interest rate and charges may be applicable. It is important that you tell your broker the complete and honest story of why you have experienced credit problems so they can address the problems with the credit department of the lender."